TREASURE COAST – Construction and maintenance-related lane closures on state highways in Martin, St. Lucie and Indian River counties are expected during March 29 through April 5, 2019. Weather permitting, work will be done at the following locations throughout the Treasure Coast. For updated lane closure information, please refer to www.d4fdot.com. 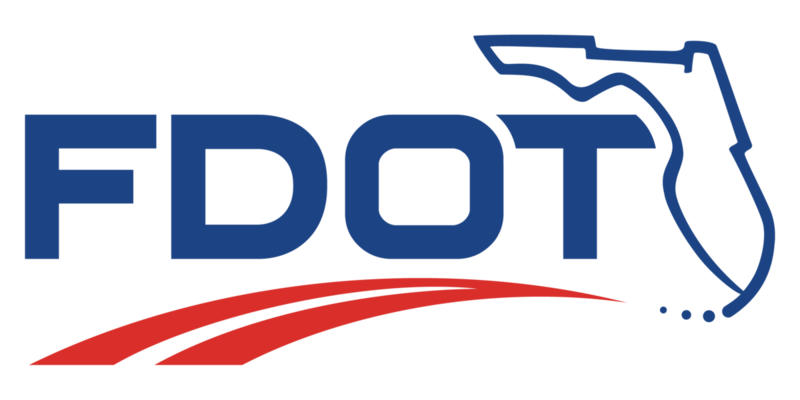 Follow us on Twitter @ MyFDOT_SEFL. Description: Under this 4.3-mile-long project, Kanner Highway is being widened from a four-lane divided highway to a six-lane divided highway. Additional work on this project includeswidening the bridge over the South Fork St. Lucie River, drainage improvements, construction of five retention ponds, constructing sound walls at Fisherman’s/Somerset Cove and Whitemarsh Reserve, guardrail improvements, signalization upgrades, turn lane improvements and bicycle lane improvements. Cost/Completion: $20.8 million. Completion is expected in spring 2019. The northbound sidewalk along Kanner Highway between Cayuga Terrace and Indian Street is closed through mid-April for drainage work. Pedestrians are being detoured to the southbound sidewalk along Kanner Highway at Indian Street and Pomeroy Street. The northbound sidewalk along Kanner Highway between Pomeroy Street and Cove Road is closed through mid-April for drainage work. Pedestrians are being detoured to the southbound sidewalk along Kanner Highway at Cove Road, Salerno Road and Pomeroy Street. The intersection of Kanner Highway & Cove Road will have intermittent lane closures Friday and Saturday night from 8 p.m. to 6 a.m. for paving. Description: This 5.572-mile project includes reconstructing State Road 710 to a four-lane divided roadway with a 40-foot sodded median, concrete pavement, a new drainage system and constructing a new wildlife crossing west of the Martin / Palm Beach County line. Cost/Completion: $27.99 million. Completion is expected in spring 2020. One lane in either direction of SR 710 may be intermittently closed Monday through Saturday from 7 a.m. to 5 p.m. for roadway widening. Two-way traffic will be maintained by a flag crew. Westbound traffic on SR 710 is shifted on to the newly constructed roadway, to facilitate roadway construction. One lane of traffic is maintained in each direction. The speed limit at the transition area on State Road 710 just west of the Palm Beach County line is reduced from 60 MPH to 45 MPH. The speed limit at the transition area on State Road 710 just east of Kanner Highway is reduced from 60 MPH to 40 MPH. Description: I-95 is being resurfaced from south of Indiantown Road/State Road 706 in the Town of Jupiter to north of Bridge Road/County Road 708 in Martin County. Improvements under this 9.8-mile project consist of resurfacing I-95 mainline from south of Indiantown Road (SR 706) to north of Bridge Road/CR 708 and the I-95 interchange ramps at Indiantown Road (Exit 87) and Bridge Road (Exit 96), and minor shoulder and guardrail repairs. Cost/Completion: $17.18 million. Completion is expected in spring 2019. Description: The U.S. 1/State Road 5 milling & resurfacing project runs from north of SE Salerno Road to north of SE Fischer Street. Work on this 1.61-mile project includes: milling and resurfacing of all travel lanes, turn lanes, and shoulders; sidewalk and pedestrian ramp upgrades; upgrading signing and pavement markings; and upgrading pedestrian signal heads at three signalized intersections. Cost/Completion: $4,027,309.52. Completion is expected in early 2019. One northbound lane of U.S. 1 will be closed Monday through Friday from 9 a.m. to 3:30 p.m. through April 12 for utility work. Intermittent sidewalk closures may occur along the northbound sidewalk during these hours, detouring pedestrians at the nearest signalized intersections. Description: This 1.8-mile project includes: reconstructing the existing two-lane Midway Road to a four-lane, divided highway with a raised median; installing a new signal at Sunrise Boulevard; constructing a new bridge over the North Fork St. Lucie River; constructing a six-foot sidewalk on the north side and a 12-foot multi-purpose trail on the south side Midway Road; constructing four-foot bike lanes on both sides of the roadway; reconstruction of South 25th Street approximately 1000’ to the south & north of Midway Road; reconstruction of Sunrise Boulevard from West 1st Street to Charlotta Street; reconstruction of Oleander Avenue from West 2nd Street to Merritt Ditch; drainage improvements, including constructing six retention ponds at five locations; and signage, signalization, and lighting improvements. Cost/Completion: $26.85 million. Completion is expected in spring 2020. One lane in either direction of Midway Road between 25th Street and U.S. 1 may be closed Monday through Friday except from 6:30 a.m. to 9 a.m. and 4 p.m. to 8:30 p.m. for drainage work, signalization, bridge work and embankment/excavation. Two-way traffic will be maintained with a flag crew. One lane in either direction of Oleander Avenue between West 1st Street and just north of Midway Road by Merritt Ditch may be closed Monday through Friday except from 7 a.m. to 9 a.m. and 4 p.m. to 6 p.m. for drainage activities and signalization. Two-way traffic will be maintained with a flag crew. One lane in either direction of Sunrise Boulevard between West 1st Street and Augusta Street may be closed Monday through Friday except from 7 a.m. to 9 a.m. and 4 p.m. to 6 p.m. for drainage work, embankment and signalization. Two-way traffic will be maintained with a flag crew. One lane in either direction of U.S. 1 at Midway Road may be closed Monday through Friday except from 7 a.m. to 9 a.m. and 4 p.m. to 6 p.m. for signalization. The eastbound Midway Road to southbound Oleander Avenue right turn lane is closed around-the-clock to accommodate roadway widening. The westbound Midway Road to northbound Oleander Avenue right turn lane is closed around-the-clock to accommodate roadway widening. Traffic is able to turn right via the existing through lane. Full Closures: Star Avenue just south of Midway Road and Lace Avenue just south of Midway Road will be closed to all traffic daily Tuesday, April 2 through Sunday, April 7 from 9 a.m. to 4 p.m. for roadway work. Only one road will be closed at a time. Motorist should detour via Indiana Avenue to either Lace Avenue or Star Avenue, depending on which road is closed. Full Closure: Starting Friday night, April 5 at 7 p.m., the intersection of Midway Road and Sunrise Boulevard will be closed to all traffic and will reopen no later than Saturday, April 6 at 12 p.m. for reconstruction. During this time, motorists heading east or west on Midway Road should detour via Oleander Avenue or 25th Street to Bell Avenue. Motorists heading south on Sunrise Boulevard should detour via Weatherbee Road to Oleander Avenue. Motorists heading north on Sunrise Boulevard should detour via 1st Street to Oleander Avenue. Full Closure: Starting Friday night, April 5, Sunrise Boulevard from Midway Road to 1stStreet will be closed to facilitate roadway reconstruction. This closure is anticipated to be in place for 2 weeks, weather permitting. During this time, motorists should detour via 1stStreet and Citrus Avenue. Description: The I-95 bridge decks are being replaced over Glades Cut Off Road and the FEC Railroad, at approximate mile marker 125, in the City of Port St. Lucie and over Ten Mile Creek,just south of Okeechobee Road (Exit 129). In addition to replacing the bridge decks this project includes milling, resurfacing and re-striping the approaches to bridge decks. Cost/Completion: $13.46 million. Completion is expected in summer 2019. Traffic may be reduced to one lane in either direction on I-95 at the Ten Mile Creek overpass just south of Okeechobee Road (Exit 129) Sunday through Thursday night from 9 p.m. to 6 a.m.
Traffic may be reduced to one lane in either direction of I-95 at the Glades Cut Off Road overpass Sunday through Thursday night from 9 p.m. to 6 a.m.
One lane in either direction of Glades Cut Off Road at the I-95 overpass will be closed intermittently Monday through Friday from 7 a.m. to 5 p.m. for bridge demolition. Two-way traffic will be maintained by a flag crew. Description: The Peter P. Cobb Bridge rehabilitation and observation walk replacement project over the Intracoastal Waterway in the City of Fort Pierce includes replacing the existing observation walkways, installing scour countermeasures along the channel bottom under the bridge and making repairs to the concrete bridge pier columns. Cost/Completion: $9.9 million. Completion is expected in spring 2020. The northwest catwalk is closed for demolition and reconstruction through the end of the project in spring 2020. During this time, the catwalk will not be accessible to the public. The sidewalk that runs under the west side of Peter P. Cobb Bridge is closed for repair work. Pedestrians should cross SR A1A / Seaway Drive at Indian River Drive. The southeast catwalk is closed for demolition & reconstruction through the end of the project, spring 2020. During this time, the catwalk will not be accessible to the public. Description: U.S. 1 is being resurfaced from north of Midway Road to north of Edwards Road in the City of Fort Pierce. Work on this 2.362-mile project includes removing old asphalt and resurfacing the existing five-lane roadway, adding sidewalks along both sides of the roadway, re-striping the roadway, upgrading signalization, drainage improvements, modifying the southbound right turn lane into the bus bay south of Market Avenue, upgrading the northbound bus bay south of Farmers Market Road and adding a southbound bus bay south of Farmers Market Road. Cost/Completion: $6,194,381.38. Completion is expected in summer 2019. Description: Kings Highway / State Road 713 is being widened from south of State Road 70 to north of the I-95 overpass in the City of Ft. Pierce and unincorporated St. Lucie County. The improvements on this 3.417-mile project include: reconstructing the existing two-lane undivided highway to a four‐lane divided highway, relocating Canal No. 40 and Canal No. 32E to accommodate widening to the west, realigning Kings Highway at the intersection with Okeechobee Road to improve the connection with Florida’s Turnpike, replacing existing culverts/swales with a closed drainage system and retention ponds, installing a new highway lighting system, and upgrading signalization with vehicle detection devices and ITS cameras. Features of the new roadway will include: a 30‐foot wide median with curb and gutter (22‐foot-wide raised median plus two, four‐foot-wide paved inside shoulders), 6.5‐foot-wide outside shoulders which will also serve as buffered bicycle lanes, a 12‐foot-wide shared use path along the west side and a six‐foot-wide sidewalk along the east side. Cost/Completion: $45,221,785.65. Completion is expected in fall 2022. The speed limit on Kings Highway from south of Okeechobee Road / State Road 70 to north of the I-95 overpass has been temporarily reduced from 50 MPH to 40 MPH. This speed limit reduction will be in place through the end of the project. One lane in either direction of Kings Highway may be intermittently closed Mondaythrough Friday from 9 a.m. to 4 p.m. Two-way traffic will be maintained by a flag crew. During this time, intermittent side street closures may occur maintaining two-way traffic at all times. One southbound U.S. 1 to eastbound Village Green Drive left turn lane will be closed Monday through Friday from 9 a.m. to 4 p.m. through July 12 for construction activities. One lane in each direction of U.S. 1 from Savanna Club Boulevard to Veterans Memorial Parkway will be closed Monday through Friday from 9 a.m. to 4 p.m. through July 12 for construction activities. One lane in either direction at the Kings Highway and Indrio Road intersection may be closed Monday through Friday from 9 a.m. to 3:30 p.m. for drainage and roadway work. Two-way traffic will be maintained by flag crews. One eastbound lane of Indrio Road will be closed Monday through Friday from 9 a.m. to 4 p.m. through May 31 for utility work. One westbound lane of Indrio Road will be closed Monday through Friday from 9 a.m. to 4 p.m. through May 31 for utility work. The sidewalk along the east side of U.S. 1 at Tiffany Avenue will have intermittent sidewalk closures Monday through Friday from 9 a.m. to 4 p.m. through April 9 for utility work. Pedestrians will be detoured to the west side of U.S. 1, crossing back to the east side of U.S. 1 at the Veterans Memorial Parkway/Walton Road intersection. Two southbound lanes of I-95 will be closed Thursday night from 9 p.m. to 5 a.m. for bridge joint repairs. One westbound lane of Port St. Lucie Boulevard will be closed Monday through Wednesday from 9 a.m. to 4 p.m. for utility work. One eastbound lane of Port St. Lucie Boulevard will be closed Monday through Friday from 9 a.m. to 4 p.m. through May 24 for utility work. One westbound lane of Orange Avenue will be closed Monday through Friday from 9 a.m. to 4 p.m. for utility work. One eastbound lane of Indrio Road will be closed Thursday, April 4 through Saturday, April 6 from 9 a.m. to 4 p.m. for utility work. The inside northbound lane of U.S. 1 will have intermittent lane closures Monday through Friday from 9 a.m. to 4 p.m. through May 24 for landscaping. The inside southbound lane of U.S. 1 will have intermittent lane closures Monday through Friday from 8 a.m. to 4 p.m. through May 24 for landscaping. The southbound State Road A1A turn lane into Sea Oaks is closed through April 12 for water main and asphalt repairs. Advance Notice: The median of State Road A1A north of Palm Island Lane/Beachview Drive will be closed for one day between Wednesday, April 10 and Friday, April 12 from 9 a.m. to 4 p.m. for road construction.